I am amazed at how many patients spend more time shopping for a TV or washing machine than they spend selecting a plastic surgeon. Selecting your surgeon should be the single most important thing that you can do to assure an optimal result. There are also a few less reliable points that I would like to address when choosing a plastic surgeon. Advertisements and media coverage is paid for by the plastic surgeon and does not necessarily reﬂect how knowledgeable, competent or experienced they are. Your local doctor may not be in the know of who is best to do breast augmentation and may not have an interest in cosmetic surgery to ﬁnd out either. Some just refer to surgeons who are their friends from medical school, are in the local area and thus convenient, or who may be paid for by the surgeon to refer you. Never listen to recommendations from anyone who is an “armchair expert” or who has no in-depth knowledge of breast augmentation. At the end of the day, look at the plastic surgeon’s results to see how good they are. Be very careful with “glamour shots” that can deceive because of lighting, patient positioning and camera angle. They may even be “photo-shopped” or airbrushed. 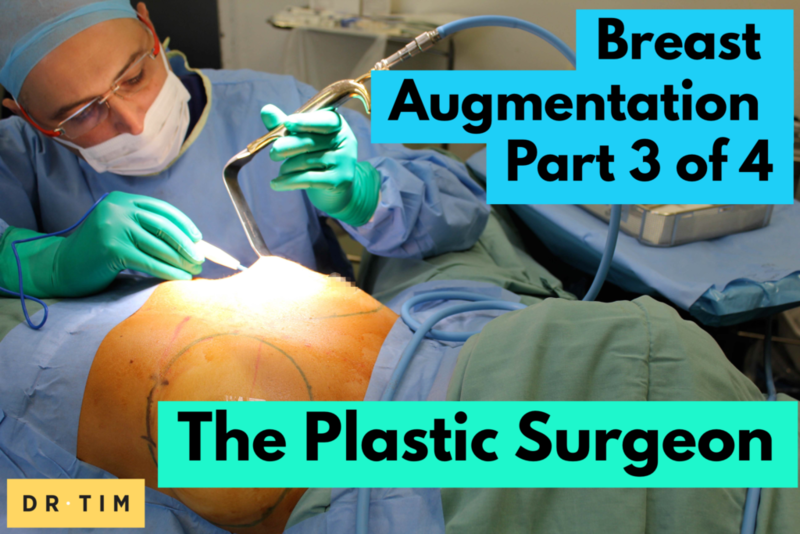 Some plastic surgeons may have models as patients that they have operated on their face but not their breasts (which was performed by another surgeon) and use them for advertising breast augmentation. 5) If you are given false or misleading information – claims that are too good to be true. 7) When the office staff are not courteous, knowledgeable, or don’t spend enough time with you, and don’t tell you what you need to know. Beware of staff who give you all fluff, but no substance, and don’t oﬀer to send you any information. Always insist that the price is broken down into the following categories: surgeon fees, anaesthetist fees, costs of implants, operating room fees, hospital stay fees, laboratory fees, mammogram or ultrasound fees, any other fees. Ask how long the prices on the quote last for. Remember, there is no such thing as bargain surgery. Have you ever seen top-quality surgery for a bargain price? How is the bargain surgeon able to offer such a good price? When visiting the plastic surgeon’s rooms, look around and take notice of the little things. It should be a quiet, comfortable and modern, an atmosphere that reﬂects the good taste of the plastic surgeon. The organisation, function, and ﬂow of the plastic surgeon’s office is a reﬂection of the surgeon’s personality and habits. Think about it. If the office looks messy and unclean, doesn’t that reﬂect badly on the surgeon who accepts this scenario? Most of the time, you will recognise a good plastic surgeon without the surgeon having to tell you. If they have integrity, are caring and thorough, then this will deﬁnitely contribute to what you will get in the operating room and after. Question: What factors do you consider important when choosing a plastic surgeon to perform a breast augmentation? You can leave a comment below.